 Patios and conservatories go together and showcase the appearance of the conservatory perfectly. Patios frame the conservatory and make the overall look much neater. Here are some tips on how to find the perfect patio for your conservatory. Choosing a patio that suits and looks perfect with your conservatory is important. To get the best result possible, before you start looking at a patio take a look at your conservatory style, think about if you need a simple design and what size the patio has to be. There are several different styles of patios available, having the choice is fantastic but can be daunting. We suggest that you do some research into patios before calling a company, so you have an outline of what you would like. We always suggest using local companies, encase anything goes wrong or needs amending the company can come to your home as quickly as possible. Ways you can find a reliable company that offer high quality services is by using Google, social media websites, as well as asking friends and family. Many of our customers have used Go-Large, who are builders in Milton Keynes, specialising in patios. This is the best way to see what level of quality and service the company provides. Take a look at this information before you make any contact, so you have more of an option to shop the market. With all the information that you have gathered and your rough understanding of the types of patios you would like and are interested in, you are ready to contact the company. The company can then give you their expert opinion on what style you should go for.